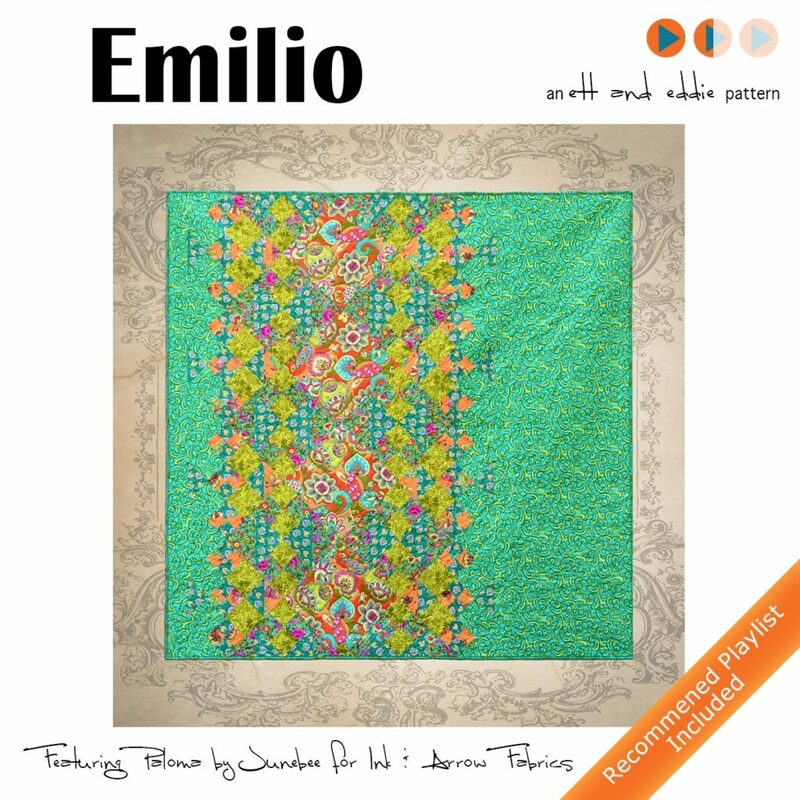 We are very excited to announce our newest quilt pattern: the Emilio quilt! 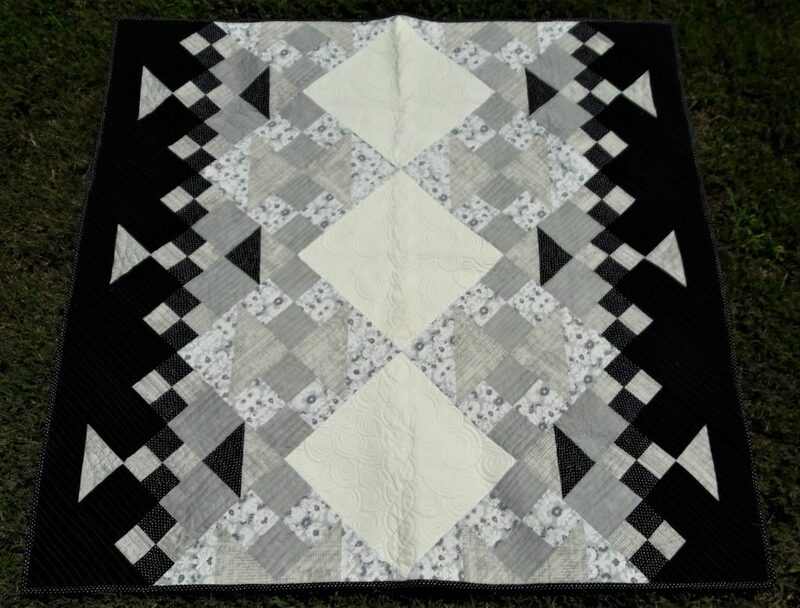 This lap sized version (69 x 69″) uses basic quilt units set on point for a dynamic layout. The fabrics we used for the cover quilt are from the Paloma fabric line by Junebee for Ink & Arrow Fabrics. This is a color-rich collection of gorgeous prints inspired by the designs of Emilio Pucci (hence the name). I used this fabulous Italian fashion icon for inspiration in the quilt design; you can see more in the Emilio Quilt Pinterest board we have for this pattern for some of the inspiration! The fabrics from the Paloma line have very similar value, which really blends the boundaries between the quilt units. To get a better idea of the quilt design with stronger contrast, here’s a gray scale version in the alternate baby size (52 x 52″). The fabric requirements for the lap-sized pattern are perfect for a 5 yard bundle plus 2 yards of background fabric. You find out more about the fabric requirements and the Emilio digital quilt pattern itself in our shop.